Comment: Like New - Mint Condition. We ship within 24 hours via First Class USPS. 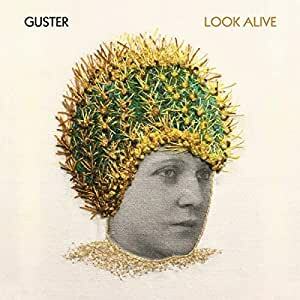 Amazon's Choice for "guster cd"
Guster's latest studio album Look Alive was produced by English musician, composer, and producer Leo Abrahams (Regina Spektor, Brian Eno/David Byrne, Belle and Sebastian, Chromatics). 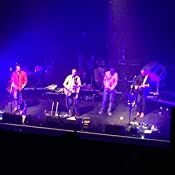 The forthcoming LP maintains the band’s unique charm while charting new sonic and lyric pathways. It will be available on CD, vinyl, and digitally. 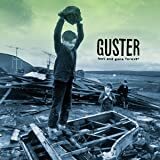 Stream Look Alive [Explicit] by Guster and tens of millions of other songs on all your devices with Amazon Music Unlimited. Exclusive discount for Prime members. 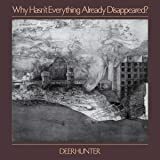 In short, this is a playful, creative album with lots of synth, bass, whimsicality, and more. It isn't boring. It feels like they had fun making this while still putting out a polished composition. The sound throughout the album varies but at the same time has a cohesive feel. It is almost like creating 10 paintings of different style and subject matter but using the same 5 colors in each to maintain a common theme element. The one song I'll call out is "Not for Nothing" as it has a somewhat nostalgic feel for me - almost a throw back to earlier times. 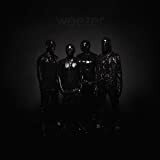 As others have pointed out, they have demonstrated their ability to evolve throughout their careers, and while I don't love their entire discography, I feel that this is a very positive addition across the board. Another great effort from Guster. Somewhat different sound, but high quality tunes. Guster fans won't be disappointed. 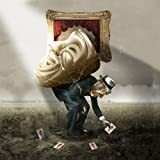 5.0 out of 5 starsAn absolute gem of an album! 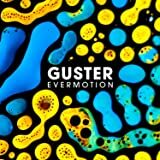 Guster’s newest album is delights the listener with rich layers of instrumentation, synth and thought provoking lyrics. Highly recommended for dedicated fans old and new. 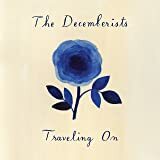 Just discovered them and really like them... it is nice to listen to in the car. 5.0 out of 5 starsA great listen! 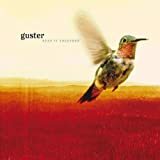 5.0 out of 5 starsLike the rest of the world around us Guster keeps evolving. I'm always prepared to let a new Guster album grow on me. Each time we are given a new piece of Guster it's never quite like the one before. But this album required no warm up, while still being completely unexpected. I'm immediately humming the tunes and wanting to put the album on repeat. The lyrics are thought provoking yet playful. 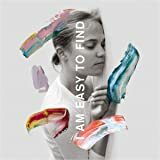 Themes are timely and relatable ranging from being about the current state of our country, the journey of relationships and the changing of the seasons. Well done, gents! 5.0 out of 5 starsA Musical and lyrical achievement—a must buy! 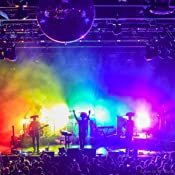 Guster’s latest studio album illustrates this bands’s growth, musically and lyrically. 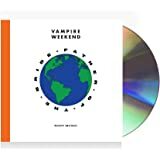 Every song stands on its own and is unique. 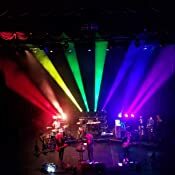 The instrumentation is unique, and the angst in some songs is reflective of our challenging times. But this record also is surprisingly optimistic, my favorite lines being “ it’s been a long time since I’ve been courageous....if we’re strong for once it could get contagious ....” (Stand Up). 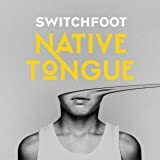 Anyone who has ever dismissed this band as simple lighthearted alt-rock has never really listened to the lyrics, and that has never been more true than with this album. There’s maturity and seriousness here, complex arrangements, but also playfulness. This is a meticulously performed and produced record. And you won’t be able to get the songs out of your head! 4.0 out of 5 starsIt's growing on me. I'm a major Gusteroid, beginning back with Lost and Gone Forever. They've been one of the few bands whose albums I can listen to from beginning to end, over and over. From that first album I heard, through Ganging up on the Sun, Keep It Together, Easy Wonderful. 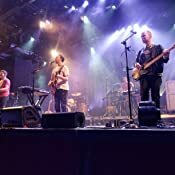 Evermotion, their last album, saw them moving in a slightly new, more synth-heavy direction that, frankly, took some getting used to for me. On Look Alive, they double down on this sound, to such an extent that it sometimes seemed to me they'd just discovered the synthesizer. Truth be told, the album took me a few listens to get into, but it is growing on me. The band released three tracks early-- the eponymous "Look Alive," "Don't Go," and "Hard Times." It's a good thing they did, because it kind of acclimated me to their new sound. I really like these tracks. The others took some time. "Mr. Sun" remind me of ELO. "Overexcited" is really reminiscent of an 80s track from the British band Madness. All in all, I think this is an album that will grow on me. I don't think it will be one of my favorites from the band, but a strong entry in their catalog.